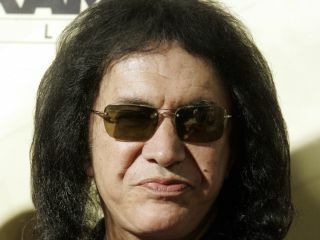 Curious as to why Kiss' Gene Simmons wasn't part of the recent We Are The World remake? Don't be. In the new issue of Classic Rock, the long-tongued bassist lets loose on the late King of Pop, stating that he believes Jackson was a child molester. "I knew Michael," Simmons tells journalist Geoff Barton. "I ran into him a few times. I met him the first time before he became the superstar, when he was sort of teenagey, when he was still a Jackson Five. This was in the Cher days, when Cher and I lived together. "But as time moved on, and no matter what my fond memories and fond images of Michael were, with one allegation of paedophilia after another and another and another…Oh dear." Simmons goes on to say that he knew some of the musicians Jackson toured with, and cites one who quit after seeing "boys coming out of the hotel rooms...Well, you know, where there's smoke there's fire. There's no question in my mind he molested those kids. Not a doubt." "Where there's smoke there's fire. There's no question in my mind he molested those kids. Not a doubt." Simmons, who claims to have bedded down over 4600 women during his career, also says, "There's never been a single female of any age that I've ever known about who has ever made a claim that she has had a physical relationship with Michael, ever. "The only sexual references ever made about Michael Jackson that were made by anyone, anywhere around the world, have always been made by kids, and specifically males usually 10 to 14 years of age; never females, that age or older, and never grown men." You gotta say one thing for Simmons: he's not one to hold his, er, tongue. (Yeah, we had to go there again.) Read more of Gene's explosive interview in the new issue of Classic Rock.